Currently the choreographer of The Royal Shakespeare Company, The Public Theater, GabeStage and Ohio University's Anthony & Cleopatra which premiered in November 2013 in Stratford-upon-Avon, England and now set to open at NYC's The Public Theater in March 2014. Performance credits: Broadway/Nigeria/World Tour in Bill T. Jones' FELA!, playing the role of JK (rhythm tapper/Ogungun; described by Ben Brantley of The New York Times as "the ;brilliant, tap dance artist suigeneris". Originally from Miami, FL of Haitian descent, where his first ballet teacher, Ms. Suzanne Laliberté Thomas was on faculty as Dancexchange Inc. under Linda Rogers Albritton and Yayi Faretta. He is graduate of The Julliard School with a BFA in dance where he was awarded The Martha Hill Prize for excellence in dance artistry and leadership. He also trained at The Ailey School, Broadway Theater Project, The Joffrey Ballet School and School of American Ballet. 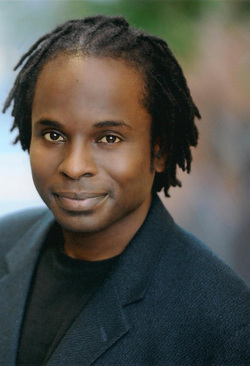 His professional credit in clude The Martha Graham Dance Company, Sean Curran Company, Fosse (First National Tour), A Christmas Carol (Madison Square Garden Theater), City Center Encores Golden Boy, NYC's Opera's Alcina/Turandot, and a featured performer for Jacob's Pillow Katherine Dunham Tribute conceived and directed by Reginald Yates. He has presented solo concerts at Jacob's Pillow, Stella Adler Studio (Resident Artist), Florida International University, City Center Stdio, Long Island University and George Faison Firehouse Theater. His awards and honors are: Martha Hill Prize form The Julliard School, Young Arts- 1st Place, Presidential Scholar for the Arts, National Society of Arts and Letters- 1st Place and a Jerome Foundation Fellow to Ghana, West Africa. A principal artist and assistant to Reginald Yates. He has danced the worlds of Alvin Ailey, Hinton Battle, Margie Gillis, Jiri Kylian, José Limon, Donal McKayle, Mia Michaels, Reginald Yates and others, And was awarded the Key to the City of North Miami in 2013. Ayo!